No words. Wow. Wait, that’s one word to describe it. Drops to a knee, what a beast. From time to time I like to make a post about a Cubs prospect so you the reader, and fan won’t look stupid if and when they make it to the big club. Well, now this feature has a name, “Who is this guy?” I wanted to use the line from the movie “Major League” but this is a family blog for the most part. Today we learn about Jeimer Candelario, and keep an eye out because there will be many more of these in the near future. Jeimer was brought into the Cubs organization as a non-drafted free agent on September 29, 2010, he was only seventeen years old at the time of the signing. The switch hitting Candy man has quickly made a name for himself and has left some forgetting that he is still so very young. 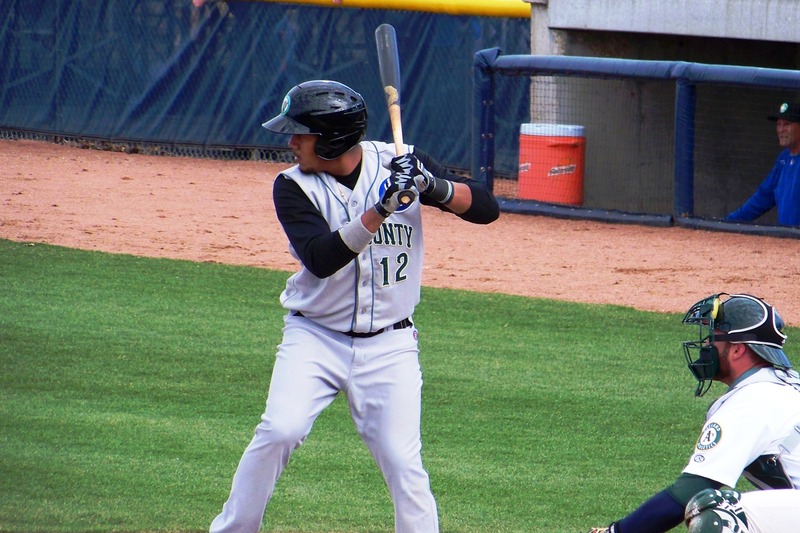 Candelario got his professional career underway in 2011 playing in the Dominican Summer league, he played seventy-two games as a seventeen year-old, primarily at third base. The numbers were impressive, Candelario hit .337 with an eye-popping .443 OBP, and a robust OPS of .921, talk about Cubs way. In 305 plate appearances Candelario walked fifty times and only struck out forty-two times, that’s what makes him so desirable to the current organization, grinding at bats. I mentioned his OPS, he racked up sixteen doubles, two triples, and five home runs while driving in fifty-three, again, in seventy-two games. That performance was enough for the Cubs to send Jeimer to Boise to start the 2012 season with the Hawks in the Northwest League. 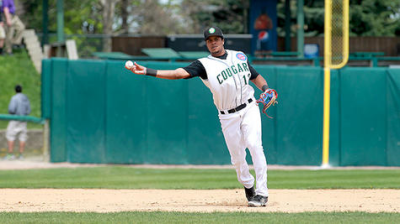 The Boise Hawks were oh so very close to an outright Championship in 2012 and Jeimer was a big reason why. It was a stiff test for sure as Jeimer was one of the youngest players on the roster at eighteen years old but he more than held his own. The numbers were similar to those that he put up in the Dominican Summer League, but you can see the increase in talent of the opposition across the board. Jeimer’s average dropped to .281 for the season, he had an OBP of .345 and a .741 OPS. Sure those are “big” drops, but not when you put it into context, there was no way he was going to sustain the numbers he put up in the DSL while playing against the talent of the NWL at eighteen years old. Those numbers are excellent, the main difference was the drop in walks, Jeimer walked twenty-six times for Boise compared to fifty in the DSL the year before. The result was more strike outs (55), and a lower average, but it was still a tremendous year. That brings us to this year, the Cubs sent Jeimer to Kane County to embark on his first full season as a professional ballplayer. Jeimer was doing so as the second youngest player on the team, only Albert Almora is younger. As of today Candelario has played in ninety-six games, that is twenty-four more than he has ever played in one pro season. The increased work load has taken a toll on Jeimer as his numbers are down a bit since the all-star break (.225 average) but if you look closer he is starting to get back into good habits. For the season Jeimer is hitting .251 with a .337 OBP and a .714 OPS, all career lows, but the walks have bounced back and he has become doctor doubles. That is the nickname of Garret Anderson because he was a doubles machine, well Jeimer is starting to grow into that type of hitter. 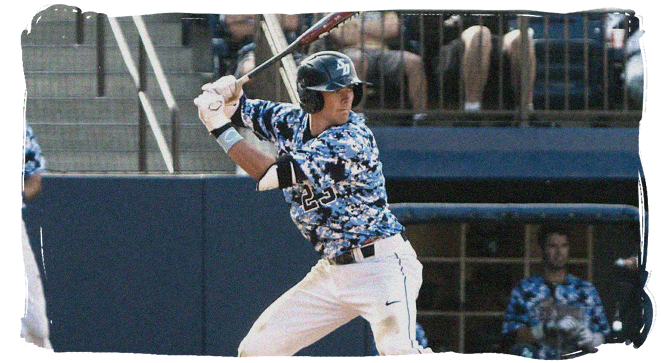 His previous career high in doubles was sixteen in the DSL, he already has twenty-nine with the Cougars. There is progression across the board from Jeimer, and he is showing why MLB.com ranked him as the 13th best prospect in the system coming into the year. The future is bright for Jeimer, at only nineteen he has proven he can play at the class A level, and I wouldn’t be surprised to see him transition to Daytona next year as a twenty year-old, after that anything can happen. I wish Jeimer the best of luck, and give him a follow on twitter (@Jeimer24C), super nice guy that loves to interact with fans. Javier Baez is hitting home runs at a frantic pace, he just hit his 9th home run of the season for the Smokies, that gives him 26 for 2013 (Daytona and Tennessee)… it’s July 28th. Enjoy the video below, thanks to the Smokies for sharing it.